Who needs Renoir’s barges on the Seine? Jose Gaytan is enraptured by scows on the Gowanus. Almost every day for the past six years, Mr. Gaytan and his two dogs have crisscrossed the streets and bridges along Brooklyn’s famous mile-and-a-half long canal, photographing moments of serenity, color and even beauty amid the decaying postindustrial landscape. Turbulent cloudscapes float above panoramas of yellow brick projects and milky-slick water. Flowers poke out defiantly from cracked concrete. And moss-covered castoffs from long abandoned factories bob by the shoreline. These sights might drive others away. 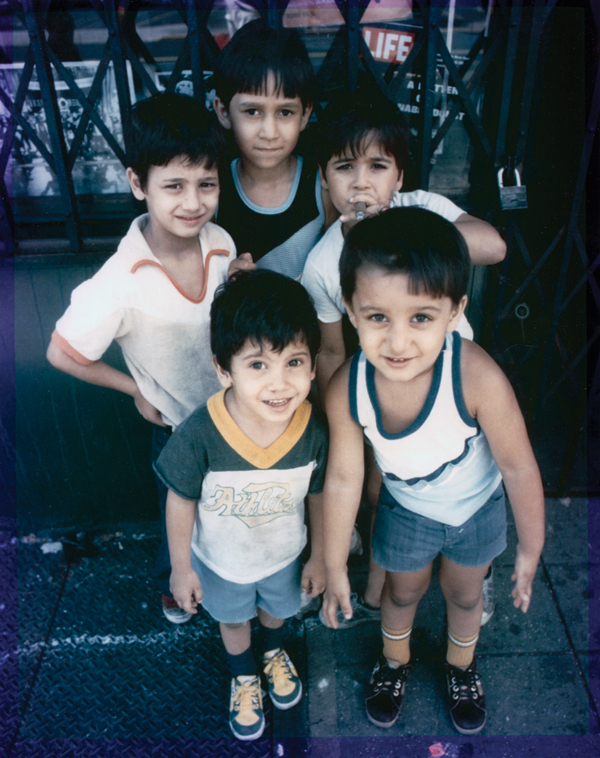 For Mr. Gaytan, they trigger powerful memories of his childhood in 1950s Mexico. The Brooklyn Public Library’s main branch is now featuring a selection of his photographs through August 29, in a solo exhibit titled “Brooklyn in Transition: A Photographic Essay of the Gowanus.” Barbara Wing, the library’s manager for exhibits, said Mr. Gaytan’s work captured an important moment in the borough’s history. In recent years the area has been buffeted by rapid development, with the city pushing for more residential and recreational uses along what had long been an industrial area. At the same time, federal officials are considering designating parts of the area a Superfund site that would be eligible for millions of dollars in clean-up funds. City officials and developers have been opposed to any such designation, saying it would hinder their own efforts. Mr. Gaytan found himself attracted to the area for more personal reasons in 2001, shortly after moving to nearby Park Slope after years in SoHo. That part of Manhattan had become too touristy for him, a long-time salesman at several professional camera stores. He also missed the big open skies of his Southwestern childhood, even if he grew up, he says, “on the wrong side of the tracks.” In Brooklyn, he could take his pick of either side of the Gowanus. This is in stark contrast with post 9/11 Manhattan, where cameras earned him suspicious looks. Over the years he has scrambled down to the railroad tracks over the Ninth Street Bridge to shoot a panoramic cityscape, canoed along the canal to see it from the water and followed the example of homeless guys, slipping under fences to get closer to the shoreline. The area reminds him of his previous photographic haunts along the East River waterfront in Williamsburg and Greenpoint, stretches that went from decrepit to deluxe in a little more than a decade. That is why he sees his Gowanus work — a continuation of that earlier study — as both documentary and advocacy. Some of his images are the only evidence that some old, ornate buildings — torn down in favor of high-rises and parking lots — ever existed. He fears that these expensive boxes will eventually rule the streets, much like a similar wave of bland brick towers overran the Upper East Side. The fact that he can still savor a big sky along the Gowanus keeps him coming back each day, even if he is mistaken for someone else every now and then.